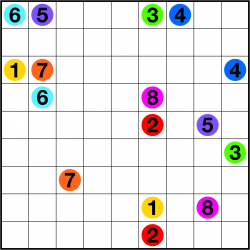 The aim of Numberlink is to link up each identical pair of numbers with a single line, so that in the finished puzzle all pairs of numbers are linked and none of the different lines cross or touch (or share a square). 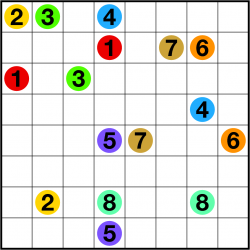 Recently, a version of Numberlink called "Flow Free" has become very popular on touch devices such as the iPhone, iPad and Android phones/tablets. 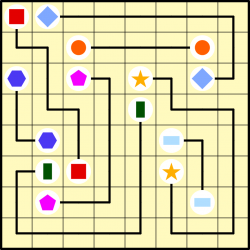 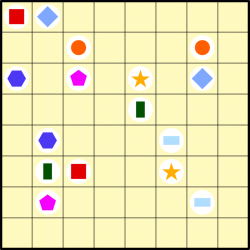 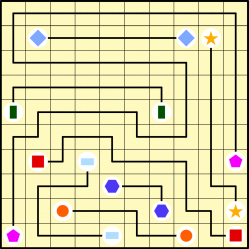 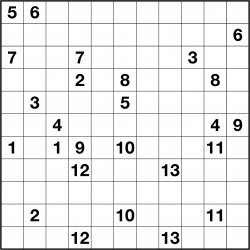 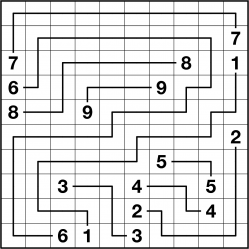 In this version the usual rule of a logic puzzle that there can only be one solution is relaxed, and instead an additional constraint is added that all squares must be visited by a line. 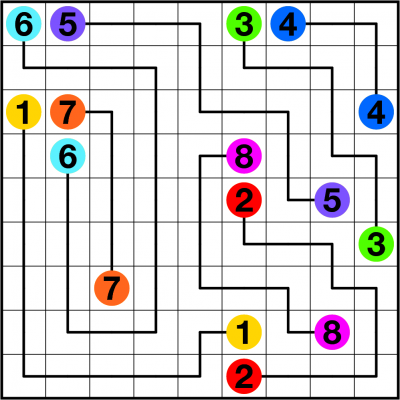 Original Numberlink puzzles can be fiendishly difficult, so this simplified version certainly makes the puzzles more approachable to solvers, but does mean that the usual Numberlink solving techniques which require uniqueness of solution cannot be applied. 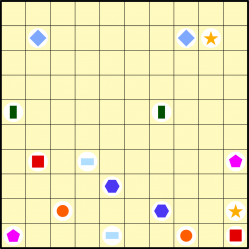 In the classic Numberlink puzzle all squares must be visited, but in other versions sometimes this condition is relaxed.